The ridge of Denali has to be one of the most beautiful mountain ridges! Great shot! 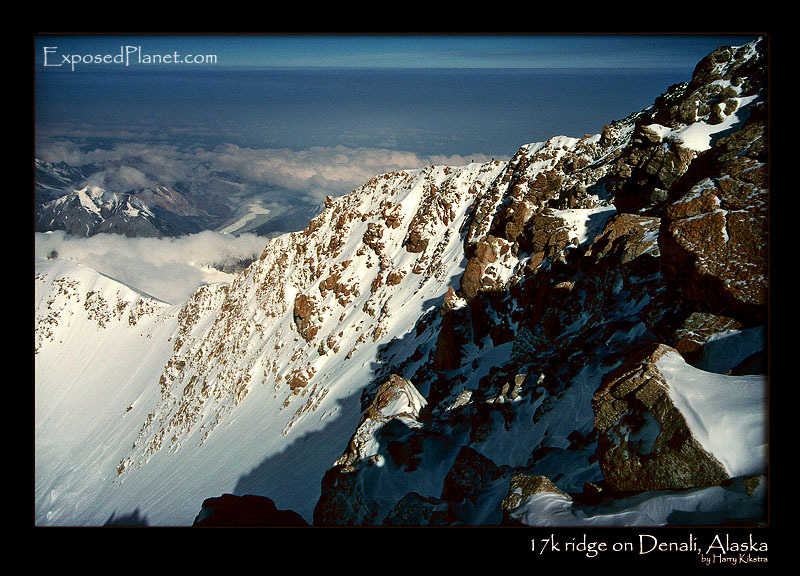 The story behind "climbers on 17k ridge, Denali, Alaska"
You have to look very close, but you can see some climbers, little dots on the gigantic Alaskan landscape.. Shot with Eos3 and likely 15-30mm Sigma lens. On Kodachrome 64 slide, scanned later. You have to look very close, but you can see some climbers, little dots on the gigantic Alaskan landscape..Shot with Eos3 and likely 15-30mm Sigma lens. On Kodachrome 64 slide, scanned later.